Chelsea ladies - 9¼" (234 mm) high. 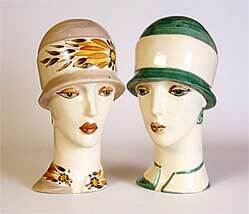 These were designed by Brian Hubbard for Chelsea's 'Ceramic Design' range. A name given to all their slip cast pottery.